I began visiting South Shields in 1983 and boy has it changed. Having been brought up in Bradford, I rarely got to see the sea. I have a few recollections of going to Bridlington as a lad. I think a lot of Sandancers just don’t realise how lucky they are to be living by this beautiful coast line. I met my other half in Manchester, whilst at poly (or as her mum used to call it university, she was ahead of her time because they eventually did call it Manchester Metropolitan University) and then spent the next 10 years coming up at weekends and holidays. I was also lucky enough to visit regularly for work, selling cap lamps to the pit rooms at places like Westoe Pit, Wearmouth Easington, Seaham. Until one by one they closed and were demolished. 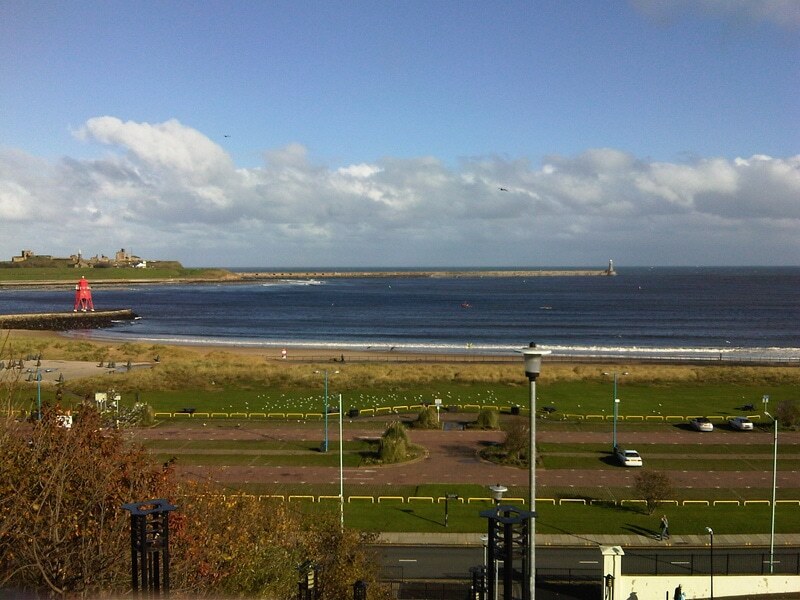 Driving and working and staying all over the UK, I can hand on heart say that there is no place as welcoming as the North East, so when the opportunity came to relocate for work reasons we grabbed the chance. I have now been here for almost 20 years and witnessed many many changes. People resent changes but more times than not they are for the better. Westoe Pit has given way to new houses and new schools. The BT building at One Harton Quay caused a lot of dismay at how the views would be spoilt. But look at it now, it has brought jobs and regeneration and soon a new water front park. You have to try different approaches, I personally quite like the advert, it is simple and to the point. As a place to holiday South Tyneside is a fantastic base, it has lots of its own attractions and is good and central to lots of other attractions in the North East. As a place to set up in business, it is second to none, I set up 13 years ago, the support infrastructure and help from other businesses was invaluable to me and indirectly to all my staff. Come up and see it for yourself, tell others, but maybe not too many others!